The Day in the Park Silent Auction will be held from 11am to 5pm. 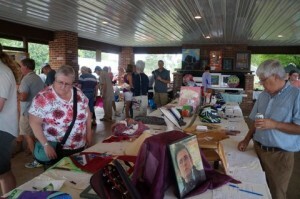 Participants bid on items donated by artists, store owners, and service providers. Winning bids are assigned and merchandise is picked up and paid for after 5pm. Cash, checks, and credit cards are accepted. Watch here for listings and pictures of auction pieces.